Get custom e-mail that match your domain name. Cut the middle-man and take control of your ad-free business email. ViUX uses SmarterMail E-Mail Software to provide exchange-level email services with powerful controls to customize all aspects of your business emails. ViUX uses SmarterMail on its servers to deliver an Exchange-level Email Server, plus File Sharing and Instant Messaging — for a fraction of the cost. With lower hardware requirements, superior stability, and reduced maintenance costs — SmarterMail has significantly lower operating expense and is the best-in-class Microsoft Exchange alternative… providing 90% of the features at only 20% of the cost! Control every aspect of your team's email. 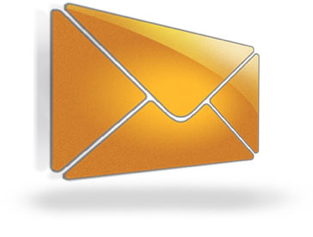 Create as many email accounts as needed within your server resources. 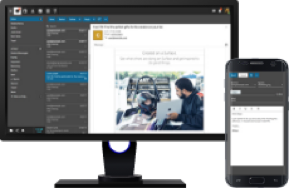 SmarterMail’s powerful webmail client gives users access to every feature from anywhere in the world, simply using their favorite web browser. Whether it’s on a desktop or mobile device, a consistent look and feel gives users the exact same experience regardless of how they’re accessing SmarterMail. Plus, the webmail client also offers support for virtually any language, including support for non-Western character sets, right-to-left languages and more! Whether needed by a team of 2 or 200, SmarterMail’s private and secure group chat allows users to communicate and share files with multiple groups across an organization using virtually any desktop or mobile chat app. You can also use shared calendars and workspaces to collaborate. Every license of SmarterMail comes bundled with additional SmarterTools software, SmarterTrack and SmarterStats. Covering all aspects of communications using SmarterMail, providing unified support systems using SmarterTrack and lets stay on top of all of your analytics using SmarterStats. 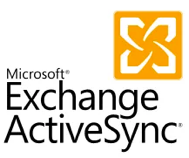 Microsoft® Exchange ActiveSync & Web Services are optional add-ons that sync SmarterMail Enterprise mailboxes, calendars, contacts (including contact pictures) – with most mobile devices and many mail clients integrated in the latest operating systems (e.g., iPhone, Droid, Windows 8). Note: MS-Exchange ActiveSync & Web Services require SmarterMail Enterprise. Boost spam and virus protection… When combined with SmarterMail’s internal antispam and antivirus protection, the Cyren Premium Antispam and Zero-Hour Antivirus add-ons help to eliminate inbox spam and viruses, while reducing server load – using Cyren’s real-time Recurrent Pattern Detection (RPD) technology. ViUX Systems is one of a small number of SmarterTools™ Resellers, allowing ViUX® to sell licenses for SmarterMail – to End-Users, Businesses, and even to other Web Hosts. Purchasing SmarterMail Licenses from ViUX saves money because you get the same license as from SmarterTools — at a 10% discount… with 1-Year of Upgrade Protection!